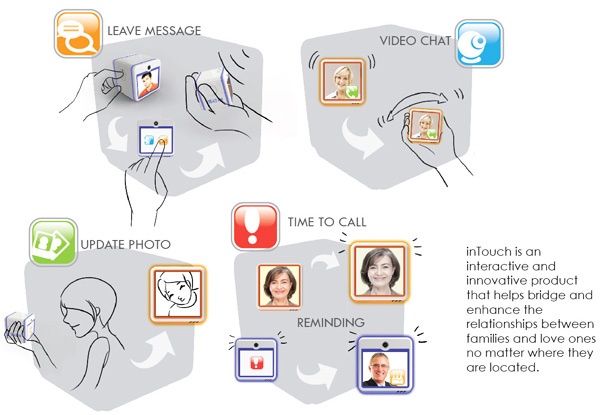 Many are using smart phones to keep in touch with their loved ones through social network. 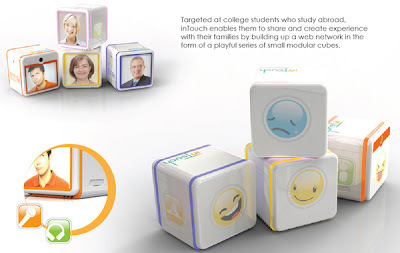 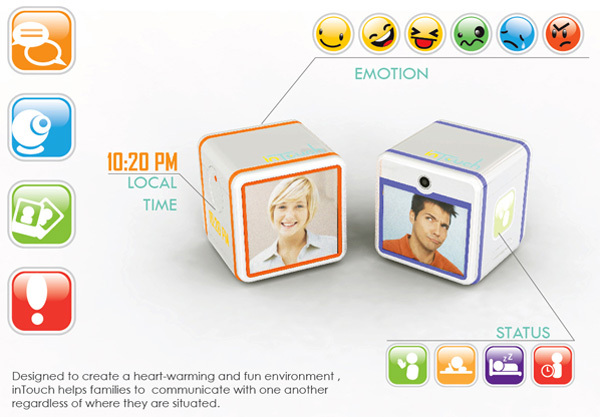 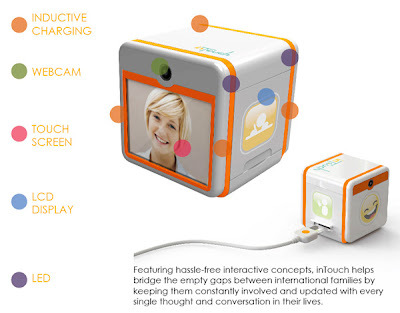 But the concept named inTouch developed by Designer Shan Lin allows you to share and create experiences with your families by building up a web network in form of a playful series of small modular cubes.inTouch cube has quite a good features which enable user to contact any person any where any time all over the world. This is particularly designed to college students who are studying abroad away from parents and family members. 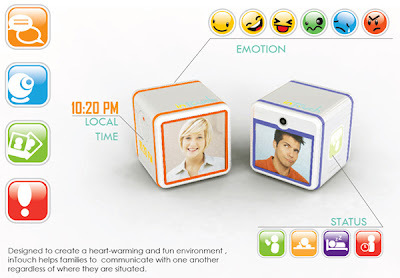 This looks fun and cute to own isn't ?